This is a perfect, tasty and hearty gluten-free bread to enjoy at Thanksgiving! My cousin and I share a gluten sensitivity –so over the holidays, we like to share our new favorite recipes. 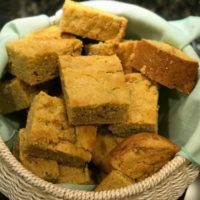 This year she made a sweet cornbread recipe with amaranth flour. When baking with amaranth, I’ve had the most success by combing it with no more than 1/3 of the total flour. Amaranth is a super grain cultivated by the Aztecs, Incas, and Mayans (1). It is classified as a pseudo-cereal because it is a non-grass plant, as opposed to a true cereal, which is a grass. Amaranth seeds can be ground into flour, and although they aren’t a cereal, they have similar health benefits to whole grains like wheat and corn (2). Some species of amaranth are cultivated for their leaves, which taste similar to spinach. Other species are harvested for their seeds, which have a nutty taste with subtle sweet undertones and a sticky, gelatinous consistency when cooked (1). Nutritionally, amaranth seeds are a good source of high biological value protein. They contain the two essential amino acids that our body cannot make. Plus they are easy for our bodies to digest and help boost plant-based protein. Amaranth is also a good source of a variety of vitamins, minerals, and fiber, and, as opposed to animal protein, it is low in saturated fat. Amaranth is a naturally gluten-free grain, so it is safe for those with Celiac disease (1). You can prepare amaranth in a variety of ways! You can pop the seeds and use them as a salad topping, substitute amaranth for rice, or eat it in the morning as a hot cereal (1). Or you can add it to cornbread like this tasty recipe below. 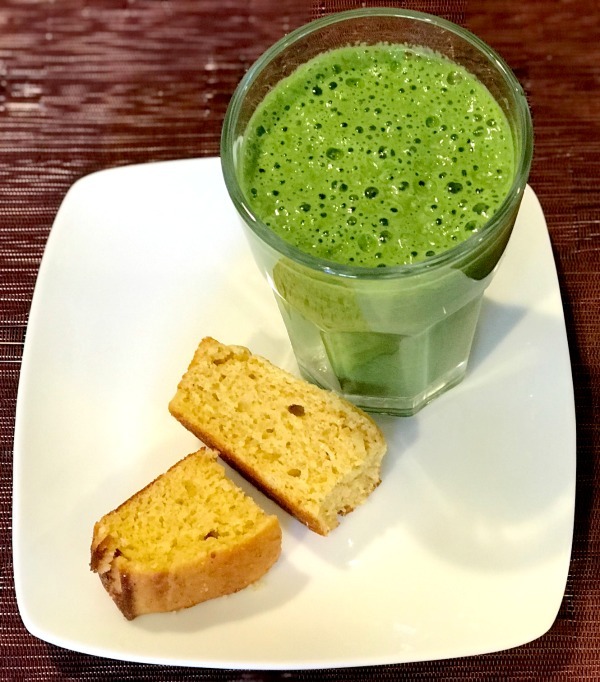 I like eating this cornbread with this apple, ginger, kale smoothie. I just add a big scoop of protein powder to the smoothie to make it a balanced meal. Spray or use olive oil to lightly coat an 8”x8” baking dish. In a large bowl, mix together cornmeal, amaranth flour, sugar, baking powder, baking soda, and salt, then set aside. In a small bowl, beat egg then add in Greek yogurt, sour cream, milk, and melted butter. Fold the wet ingredients into the dry ingredients, mixing until just incorporated. Transfer batter into the prepared pan, and bake for 20-25 minutes. It is done when the surface is golden brown and a toothpick inserted into the center comes out clean. Remove from oven, lightly sprinkle with sea salt, serve, and enjoy!